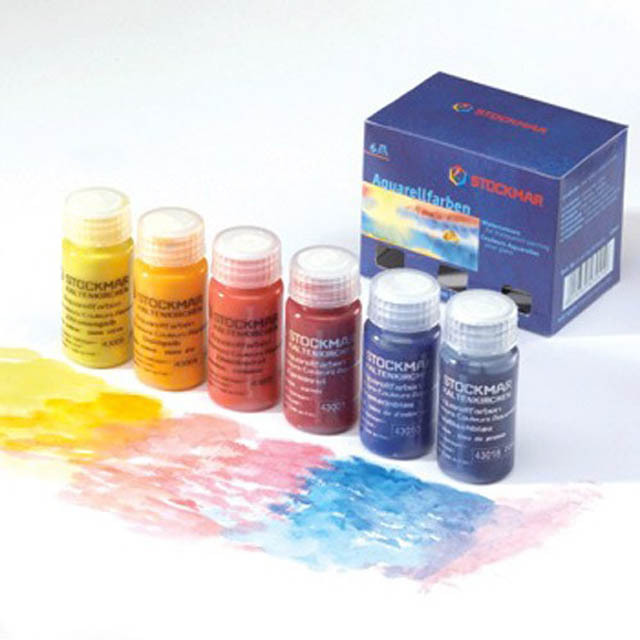 Stockmar Paint Basic colour assortment, 6 x 20ml. Water colours for transparent painting, wet on wet painting. Colours: Carmine Red; Vermillion; Golden Yellow; Lemon Yellow; Ultramarine Blue; Prussian Blue.